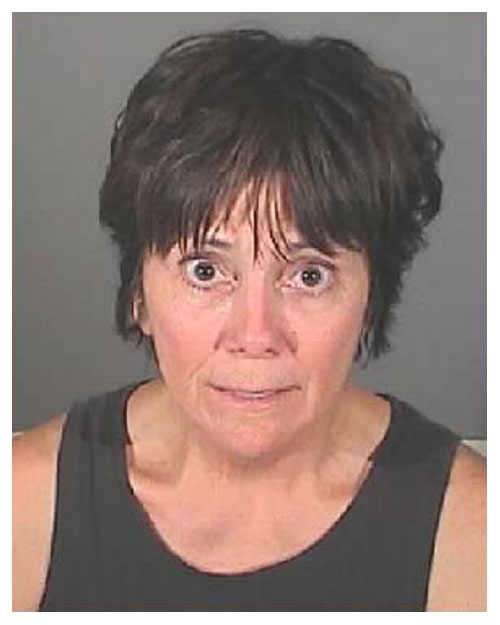 Actress Joyce DeWitt who played Janet on the 1970s TV show "Three's Company," was arrested by California cops in July 2009 and charged with suspicion of drunk driving. El Segundo police stopped DeWitt, 60, after she allegedly drove around a barricade at an annual city July 4 fireworks show. After failing a series of field sobriety tests, she was taken to the El Segundo jail where she posed for the above mug shot before being cited and released. Submitted by roydawgg on Mon, 2010-11-15 02:54.